Back pain and/or sciatica are painful conditions that affect most people at some point in their lives. Sciatica is caused by nerve root compression/irritation, commonly within the spinal canal or the neural foramina as the nerve leaves the spine and enters out through a window of the bony spine called the foramen. The most common cause of sciatica in young patients is a disc protrusion pushing against a nerve and compressing it. The patient will experience pain in the distribution of the nerve that is compressed. Small disc protrusions in young patients sometimes heal without surgery in the first few weeks of pain. 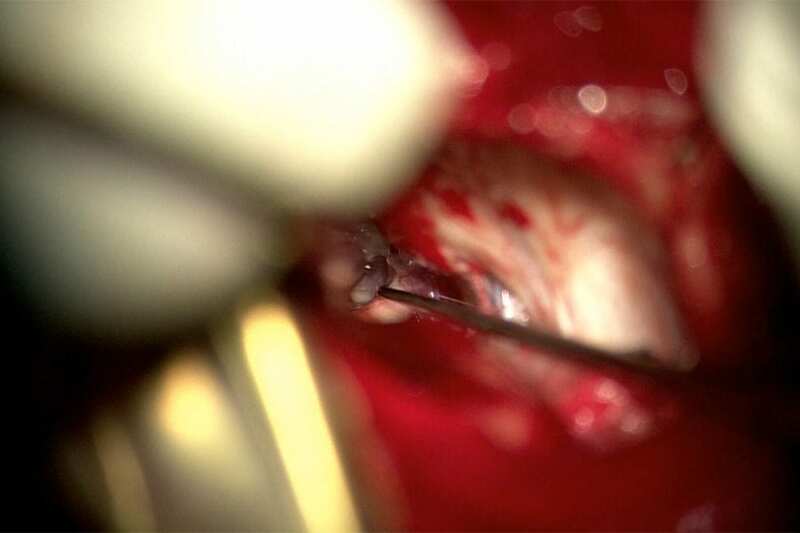 For patients with ongoing severe pain, surgery is aimed at gaining access to the nerve and remove the disc fragment that is pushing on the nerve. Once the pressure is relieved the pain settles immediately. In older adults and the elderly, the cause of sciatica is generalised wear and tear of the spine. Discs dry out and lose height. 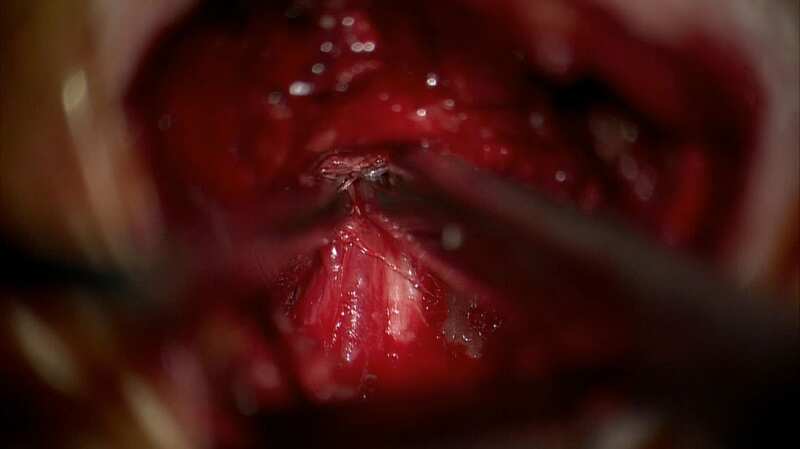 This causes the foramina to lose height and the nerve has less room. The ligamentum flavum, which is a ligament that spans each disc space, starts to buckle inwards as the disc loses height because it now has to span a shorter distance and there is redundant ligament. The redundant ligament buckles inwards toward the nerves encroaching on the nerves. In addition, with wear and tear, the facet joints in the back of the spine enlarge with onset of arthritis further narrowing the passage of nerves. There may also be a disc protrusion present. Surgery for these patients involves drilling through the lamina – the bone at the back of the spine – removing the excess ligament and occasionally part of a facet joint and/or a disc protrusion. The patient in this video had severe sciatica due to nerve root compression. Surgery was performed to decompress the nerve. 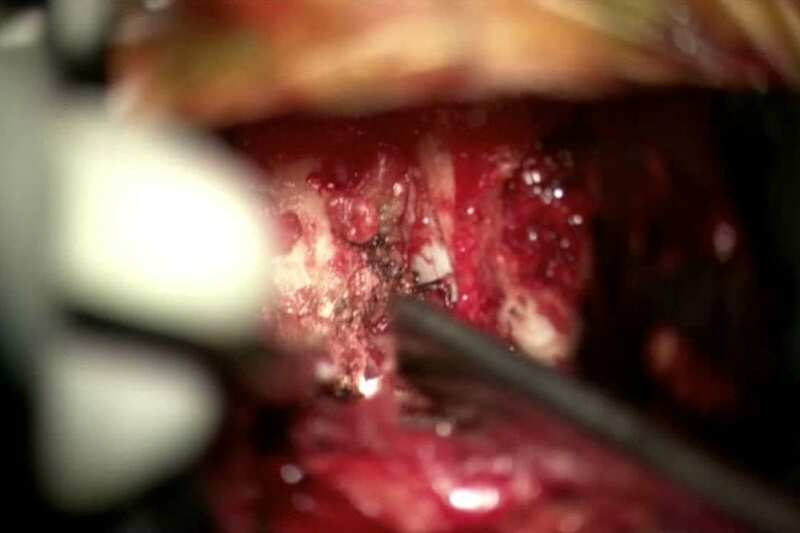 In the video we show drilling of the lamina, and using a Kerosen Rongeour upcut to carefully bite away bone and ligament. A blunt hook is used to mobilise the nerve and to feel around the nerve to ensure it has been fully decompressed. This patient woke up well, with no leg pain, and returned to his usual activities within a few weeks. He is very happy with his results.